Hayley was recently quoted in Melbourne’s daily newspaper The Herald Sun. 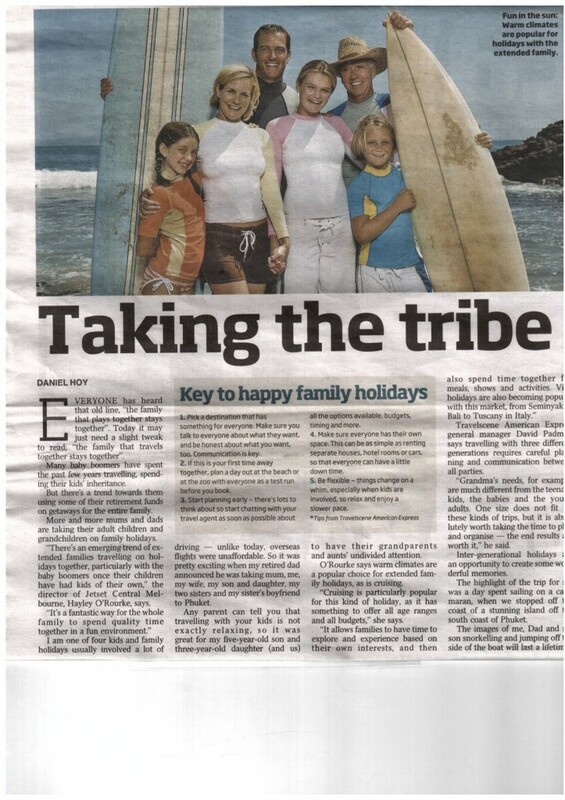 The article explores the growing move to taking holidays together with the extended family. We’ve looked after an increasing number of families for this style of travel. Ever thought of something like this for your family…we’ve got some ideas.